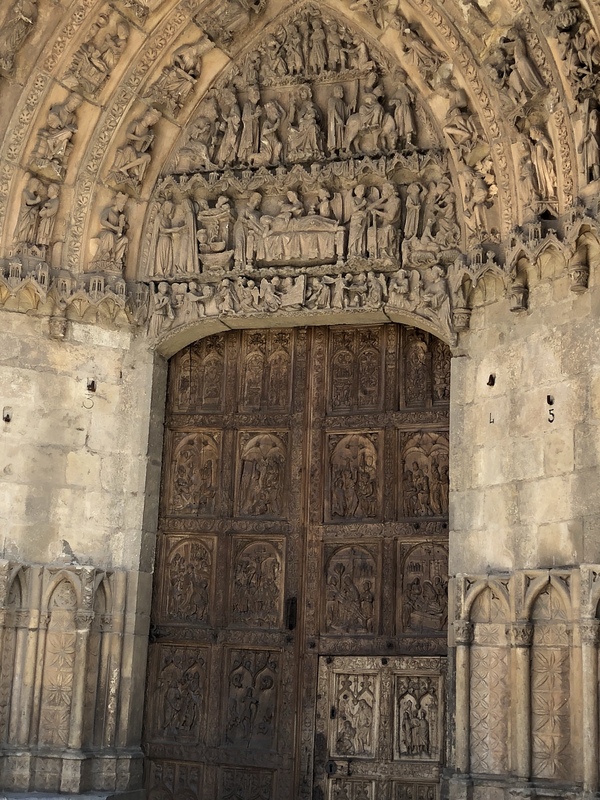 Penance… with all the medieval churches and imagery along the Camino de Santiago, coupled with the fact that the pilgrim journey has a pain soundtrack, it is hard not to think about penance. I know… I get it. Penance is not a popular topic. Some of you are already cringing. And with all the imagery in pop-culture of flagellation and church abuse, that is reasonable. I am not a good guy. I am not a good Christian (“little-Christ”). Now, before my friends who are wiser in the ways of the Gospel of grace jump on the comments to tell me that I am sliding into a “works orientation” and a “retributive God”, hang with me for a minute. What if penance is not a punishment? What if penance is instead an intentional gift? where we are betwixt and between the familiar and the completely unknown. There alone is our old world left behind, while we are not yet sure of the new existence. That’s a good space where genuine newness can begin. Get there often and stay as long as you can by whatever means possible…This is the sacred space where the old world is able to fall apart, and a bigger world is revealed. If we don’t encounter liminal space in our lives, we start idealizing normalcy. The threshold is God’s waiting room. The closest equivalent to the Camino that I can think of is sharing the sweat lodge with my indigenous uncles, aunties and cousins. They invite me into a space knowing full well that I will experience discomfort, disorientation and even pain… and while the experience is punishing, it is not punishment. It is a gift… and the hope of liminality. So here I am on a penance-way. I don’t believe that it is a punishment (though my shame-self wants to believe I deserve it)…But it is punishing… hopefully leading to the threshold. Now, here is the amazing thing. I just realized this today and I am in disbelief. Today is my 19th day of walking. In those 19 days, I have spent almost zero soul-energy thinking about those who have hurt me, rejected me or harmed me through my life. Instead, I find myself thinking about those who have given to me, believed in me and forgiven me.I have spent almost zero soul-energy thinking about what I wish I had, what others get to do and be or what my life lacks. Instead, I have been thinking with gratitude for the gift of my life and how content I am with what I have. And my soul-thoughts have not drifted (as they normally might) to dark thoughts, lustful thoughts or base thoughts. Instead, I feel drawn to honor the people and things that inhabit my life. Thank you, penance. You are a gift.